I have started on the next section of benchwork for the rest of Kankool and around the corner onto the peninsula. For the main peninsula backbone, I have used fabricated timber ‘I’ beams, mainly for the long spans I can get between supports to try and eliminate the amount of legs required. 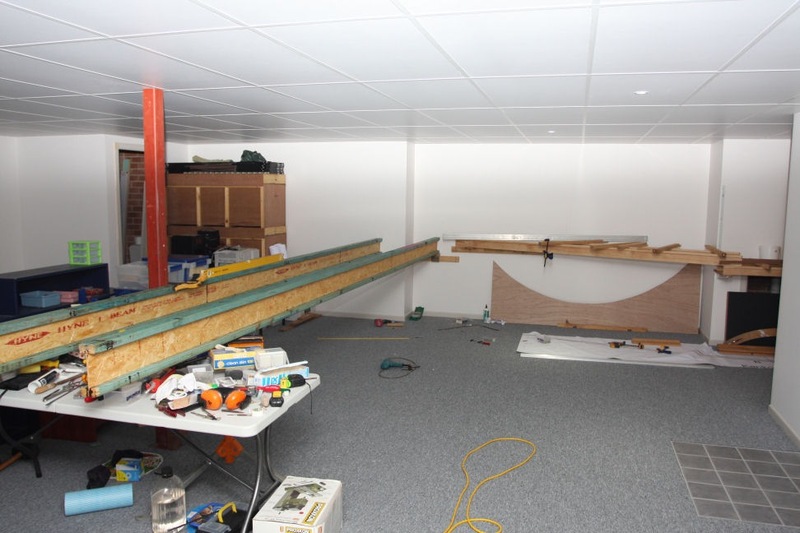 The beams are 200 x 70mm and are custom made to the length required. The two shown here will be just under 6 metres long. On top of these will go the joists to support the roadbed. 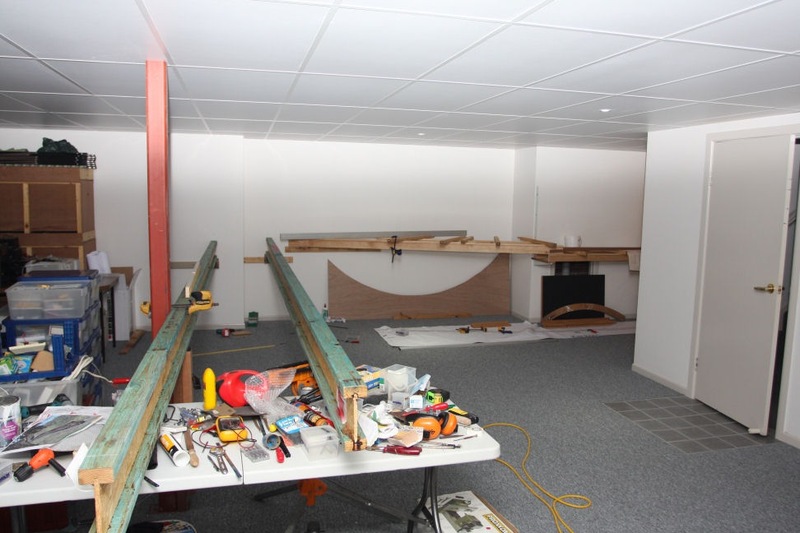 The two beams are only temporarily in place at the moment, but hopefully after the weekend, they will be fixed in place. I also added two more L girders at an angle from the wall where it steps back to just near the right hand side beam. This will now allow me to continue with the spline roadbed through Kankool and around the corner. I will have to start lifting the spline up on risers to close to the final level, as the two new L girders and beams sit about 100mm higher than the first section of benchwork. I worked out that I could get away with this as the line is climbing steadily here, and at the mid point of Kankool loop, the level is already about 4 inches higher than when it began at the bridge, so I realised I didn’t need to keep the benchwork at the same height, as I would have ended up with very tall risers. All I had to ensure was that I would end up with enough distance below the track to allow for scenery etc ie embankments. Posted on Nov 2, 2011, in Benchwork and tagged L-girder benchwork, peninsula, spline. Bookmark the permalink. 2 Comments. I can see you will be needing an electric carving knife soon. Yes, I am looking forward to starting some scenery. I’ll probably start around the bridge area.